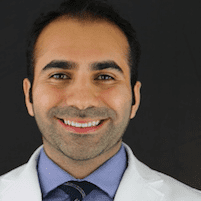 At World Trade Center Dental Group, Dr. Homam Saleh, DDS and his staff offer a wide variety of cosmetic procedures including teeth whitening techniques. The doctor provides oral healthcare to the residents of the Financial District in downtown Manhattan, New York City, New York, 10004 and other surrounding communities. What Types of Chemicals Are Used in Teeth Whitening Systems? Teeth whitening systems use a variety of chemicals and substances to whiten and brighten a patient's teeth. Depending on the type of system being used, most chemicals are harmless and will not have a damaging effect on the teeth. Many whitening systems used in dentists' offices contain bleaching compounds that have carbamide peroxide added to them. Over-the-counter whitening products such as toothpaste and whitening strips contain polishing agents. Dentists also use whitening systems that require the use of a special light to help set them and cure the surface of the tooth. Although most whitening agents are safe to use, dentists recommend that they be used sparingly as to not damage the delicate enamel. Who Can Benefit from Teeth Whitening Systems? People who have severely stained teeth will more than likely have to schedule an appointment with their dentist to have their teeth whitened. The chemical systems they use are much stronger and should only be used under the supervision of a dental professional. Individuals whose teeth have been stained due to the excessive use of coffee, tea, or tobacco products may be able to use over-the-counter whitening systems. 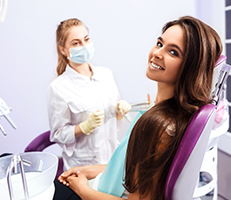 Before a person tries any teeth whitening system, they should consult with their dentist to make sure the chemicals and procedures used will not harm their teeth or cause irreparable damage. How Often Should Teeth Whitening Systems Be Used? The potency of the chemical compound contained in the whitening system will determine how often it can be used without causing damage to the enamel of the teeth. While many people use whitening toothpaste on a daily basis, whitening systems contain more of the chemicals and polishing agents. Dentists often recommend using the professional chairside whitening system only once every two years. If a whitening system has been used and is eventually discontinued, the staining will eventually return to the teeth.